(Music Pro Guide Books & DVDs). There has never been a greater need for musicians to understand the music business than now, when emerging technologies make it possible for artists to act as their own record labels, and new contracts are structured to grab the biggest slice of an artist's revenue pie. But in a digital age overflowing with confusing and ever-changing information, musicians need trusted business advice from a veteran artist who can break down the basics in a language they understand. 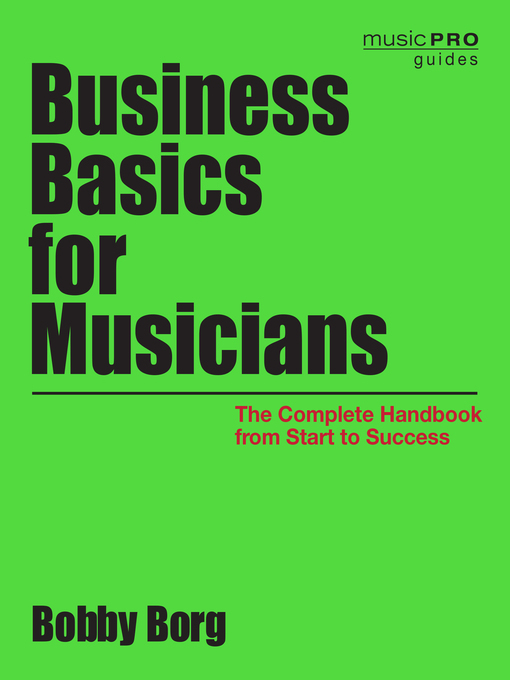 Written by a professional musician for other musicians, Business Basics for Musicians is the layperson's guide to the music industry. In a conversational tone and an easy-to-scan format, it simplifies five vital areas in which musicians need to succeed: Career Execution, Business Relationships, Pro Teams, Deals and Dollars, and Future Predictions. Everything from copyright to record deals, managers, merchandising, and doing it yourself is covered. With interviews, anecdotes, and review quizzes, this must-have manual will help artists master business essentials quickly so they can get back to doing what they love best creating music.